Some K-pop idols have such strong abs and perfect bodies that they can be mistaken as wearing a winter padded jacket. These idols’ bodies make you want to survive this winter with their sturdy muscles and not with padded jackets filled with goose feathers. We have compiled a list of idols who seem like they can get through the cold winter with the sole warmth of their thick muscles. Let’s take a look at some of the best bodies in K-pop! Jungkook gives off an innocent vibe due to his big round eyes and innocent-looking face but his body gives off a rugged charm thanks to his ripped body. His body that was sculpted through years of hard work and training is now the cause of many fangirls’ screams. The small hints of Jungkook’s abs that peak out when he dances manage to even melt the winter-frozen hearts of ARMYs. EXO’s Chanyeol possesses a perfect physique that compliments his tall height of 185 centimeters. In EXO’s early debut days, Chanyeol had fine muscles and a slim figure but has since succeeded in transforming his body through regular practice and training. Chanyeol embodies the perfect idol with his strong arm muscles, wide shoulders, and chocolate abs. Kang Daniel captures the hearts of many women with the reverse charm of his sweet eye-smile and well-built body. Maybe it’s because he slowly gained muscles ever since he was a young B-boy but Kang Daniel’s muscles are certainly eye-catching. Shownu gained the nickname of ‘Showminator’ thanks to his Terminator-like muscles. His face resembles that of a puppy’s but his body is rather untamed. EXO’s Kai who is well-known as a dancing machine always captures his audience with his lean dancer body. His chocolate abs can be considered an upgrade to his many charms. Kai’s fit body and tight muscles make his incredible dance skills stand out the way they deserve to. Wonho captured everyone’s attention with his spectacular performance during the “2018 MAMA FANS’ CHOICE in Japan” awards on December 12. His top with only one button closed showed off his abs while dancing during MONSTA X’s powerful performance. Wonho’s fit body and sculpted abs highlighted his masculine charms and made for a legendary stage. 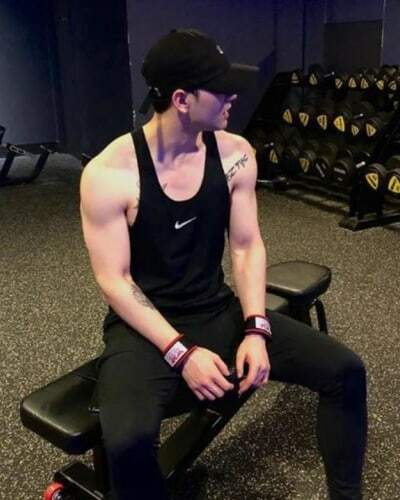 Now it’s time for Baekho, who exudes a wild beauty through his strong physique. During NU’EST’s recent concert Baekho threw away his shirt and necktie unveiling his wide shoulders and defined abs. NU’EST fans reacted with endless cheers to Baekho’s sudden sexiness. Moonbin is also another one of the new additions to the list. Moonbin’s flowerboy-like visuals may trick you but underneath that is a very well-defined and strong body. 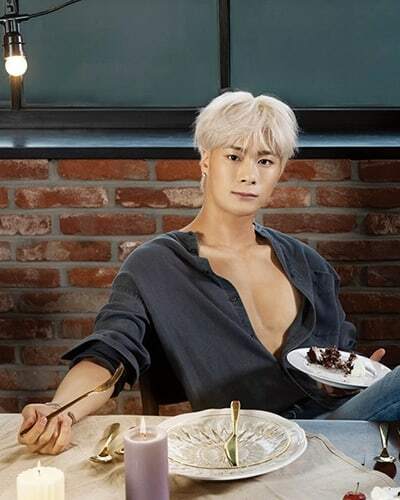 His recent Men’s Health Korea cover shocked fans who did not expect such a manly appearance from one of ASTRO’s youngest members. Minhyuk is yet another idol who was featured on the cover of Men’s Health Korea. He is known as an athletic idol who regularly works out and even possesses exceptional acrobatic skills. His healthy and athletic body is the result of a rigorous training and work-out schedule as Minhyuk is recognized a quite a perfectionist when it comes to his health.